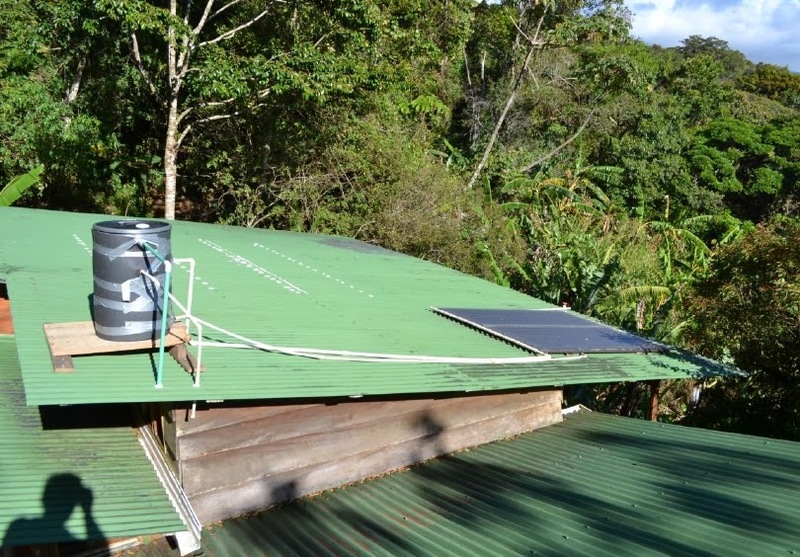 Peter lives in a remote and beautiful area of Costa Rica and was looking for a simple solar water heating system that could be built with locally available and affordable materials. 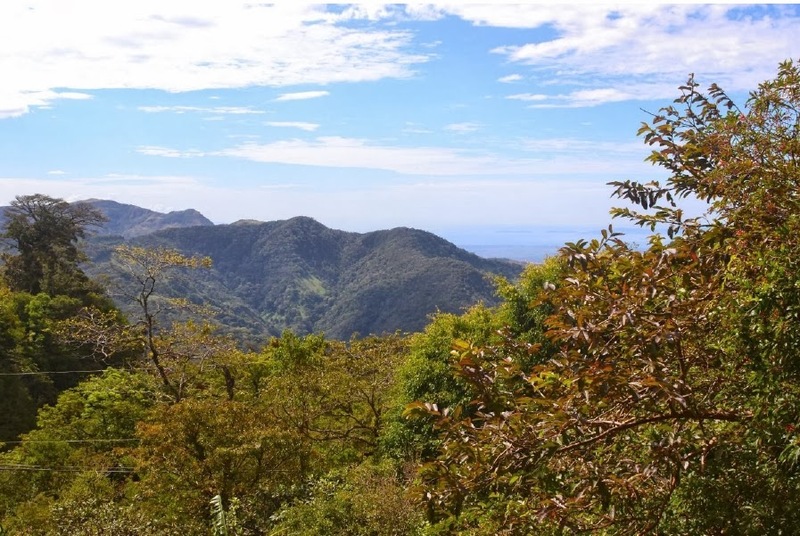 Costa Rica home for the new water heater. 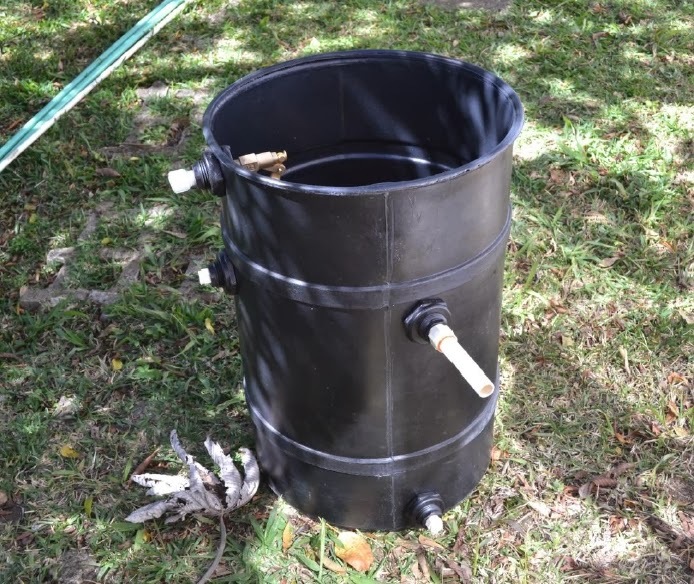 Peter worked out a simple thermosyphon collector design that heats water in an elevated tank. The tank gravity feeds to showers. A float valve arrangement at the tank automatically keeps the tank topped up with water. Because copper is very expensive locally, he used CPVC pipe for the collector. 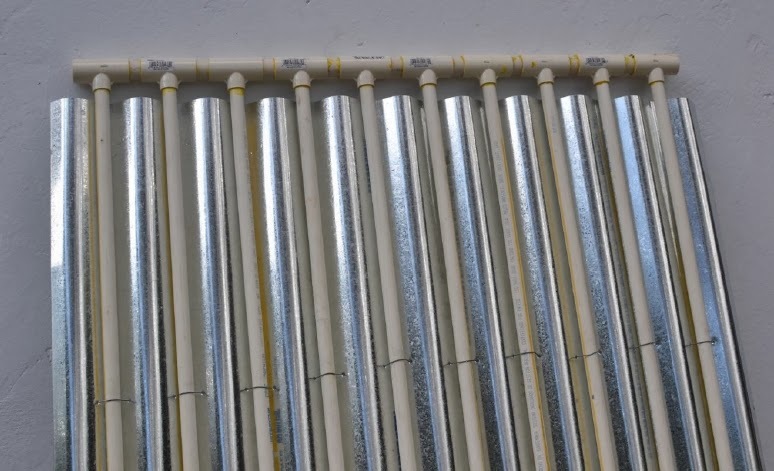 Normally CPVC would not be a good choice for a glazed collector that sees this much sun because of the potential for overheating damaging the CPVC pipe, but Peter has worked out a couple of reliable mechanisms to keep the collector temperatures down. He allows for some circulation of air under the collector glazing, and the thermosyphoning of water from the collector to the tank coupled with the un-pressurized tank insures that the water temperature will not exceed 212F. Both of these protection methods are reliable and don't depend on electrical power or pumps or controllers (which are all subject to failure).